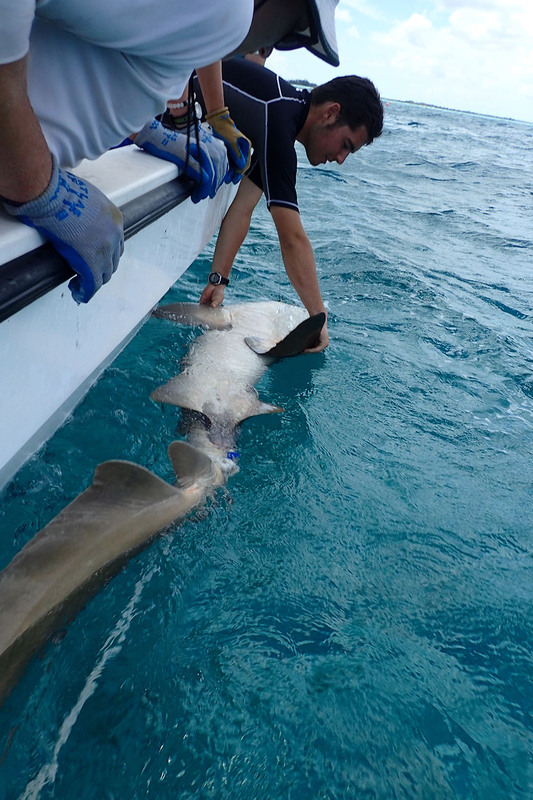 The American Elasmobranch Society recently met in New Orleans for their annual meeting, attended by an international collective of shark and ray scientists to discuss current and ongoing work in this very eclectic field. 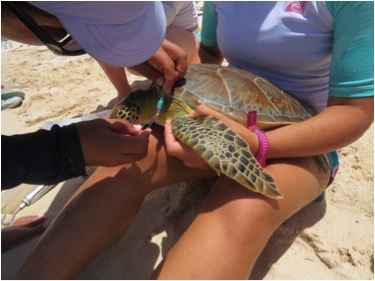 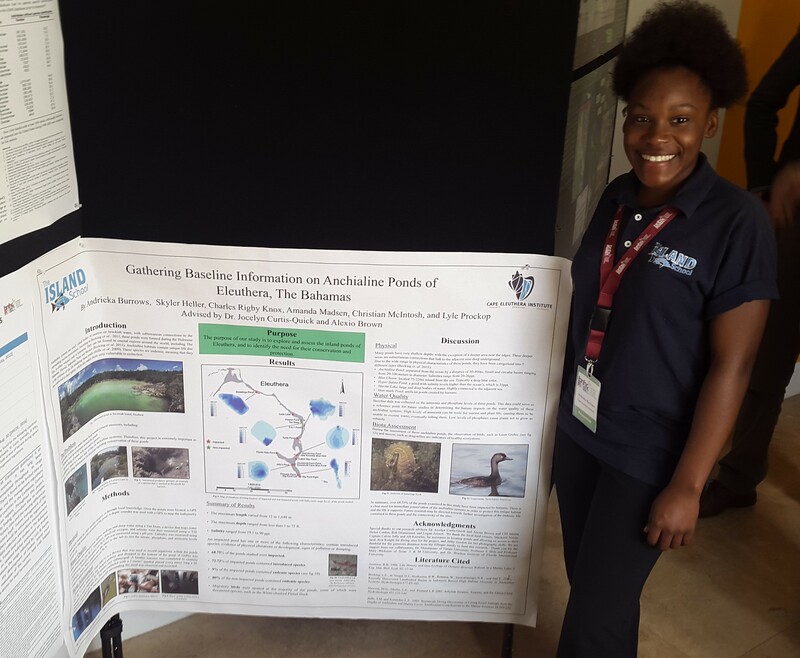 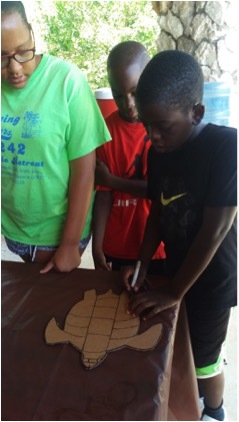 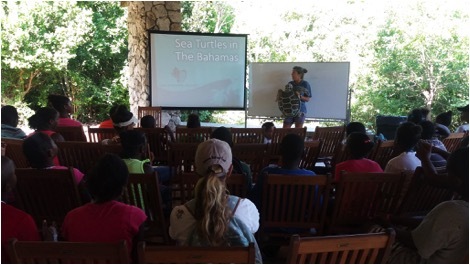 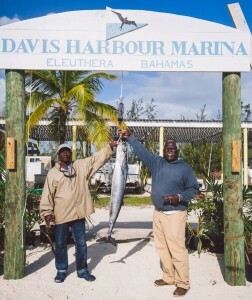 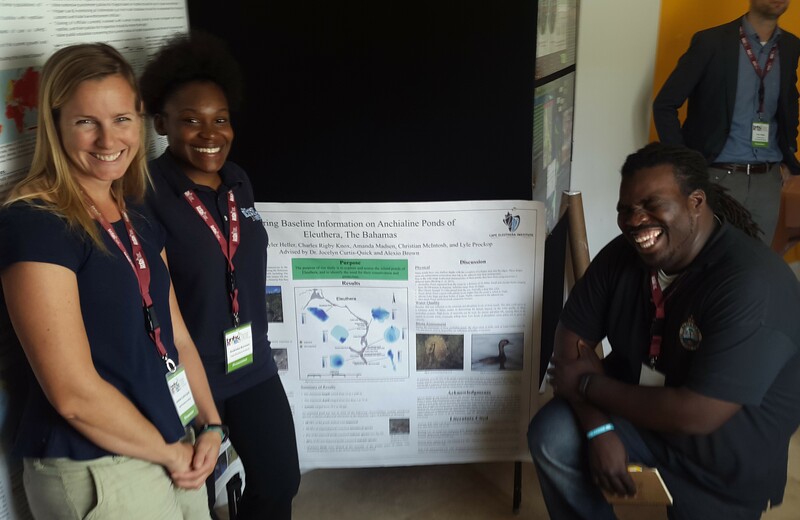 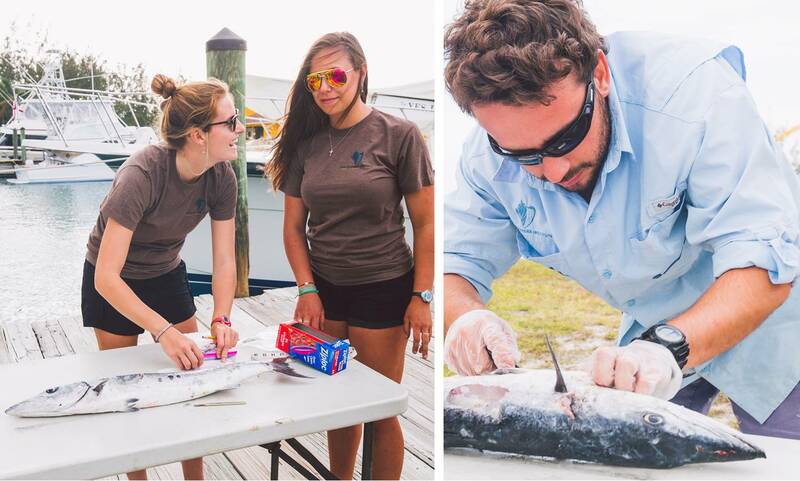 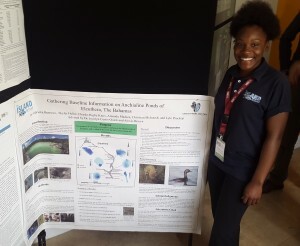 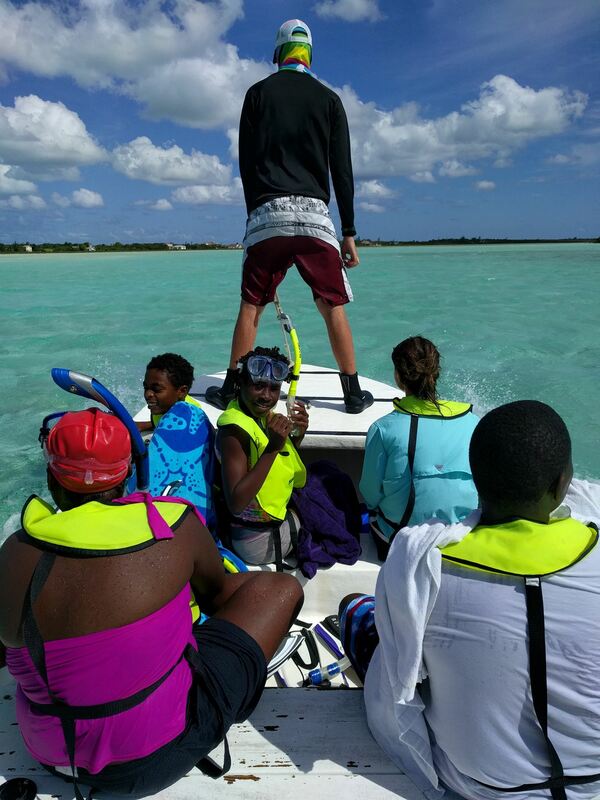 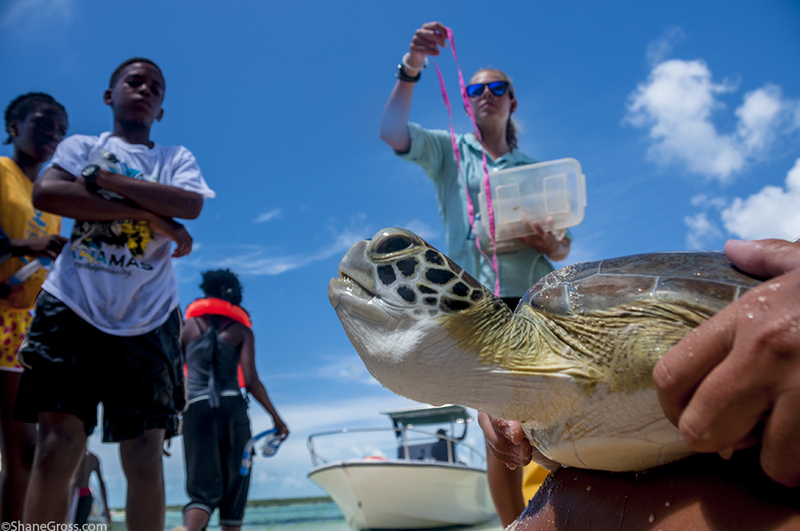 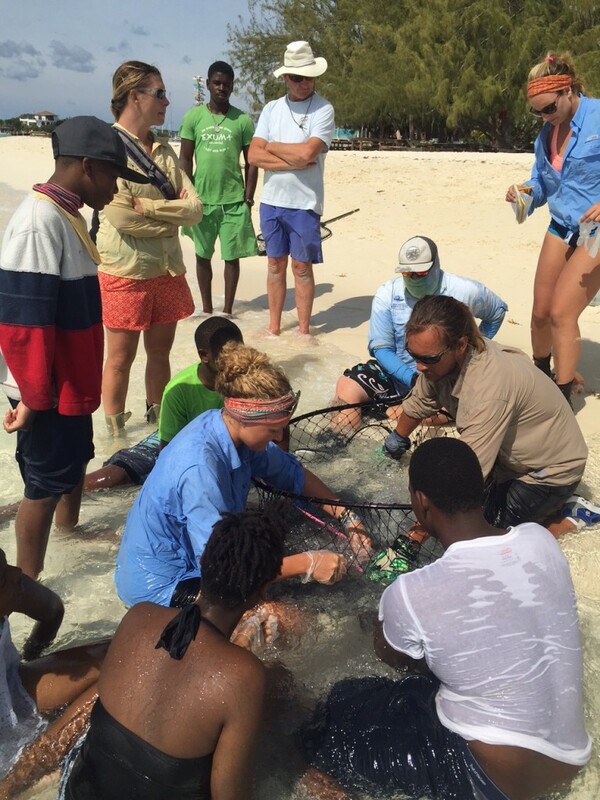 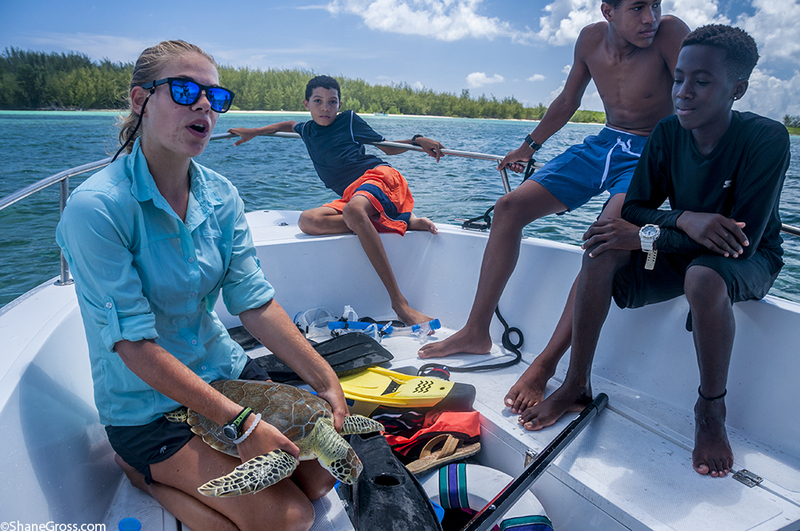 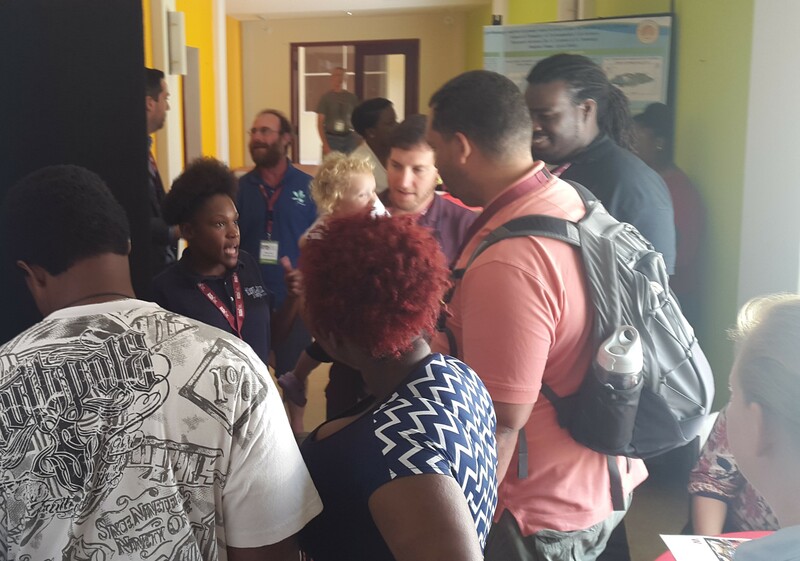 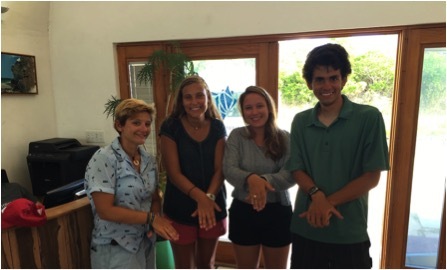 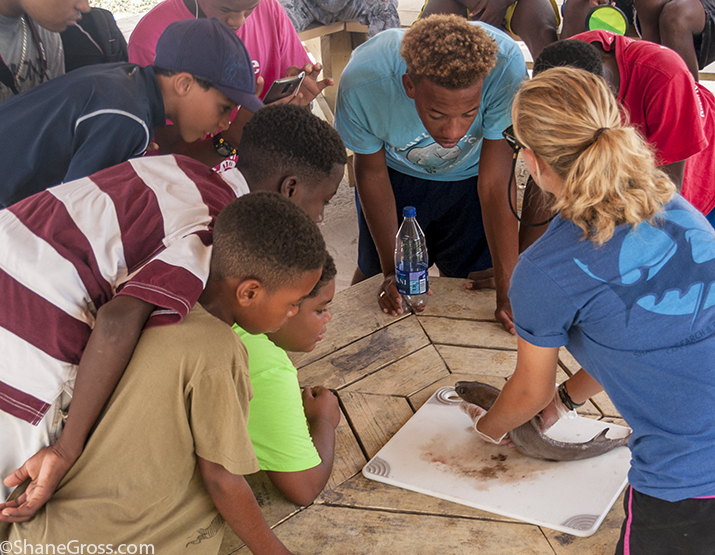 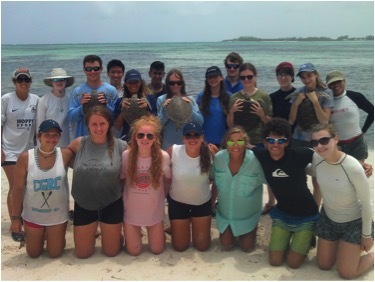 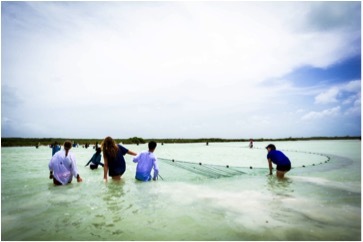 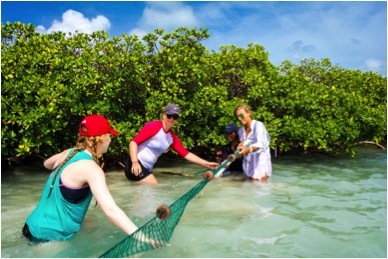 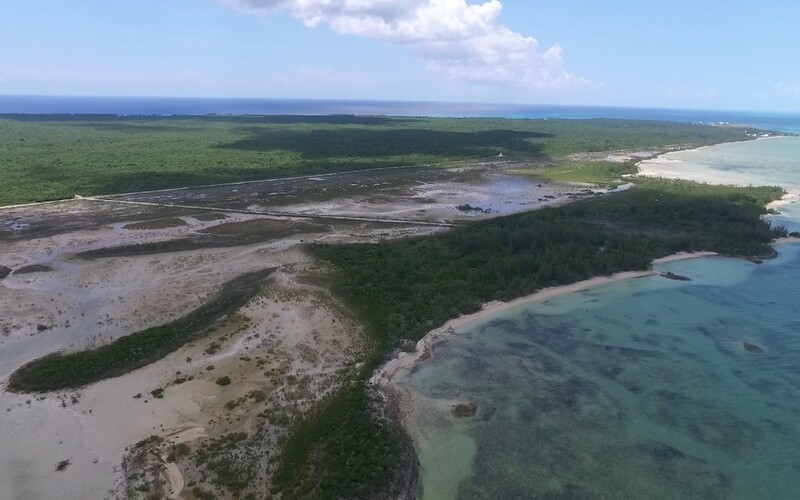 The Cape Eleuthera Institute was represented by Oliver Shipley and Dr. Owen O’Shea of the Shark Research and Conservation Program, both giving oral presentations to a wide range of scientists from all over the world. 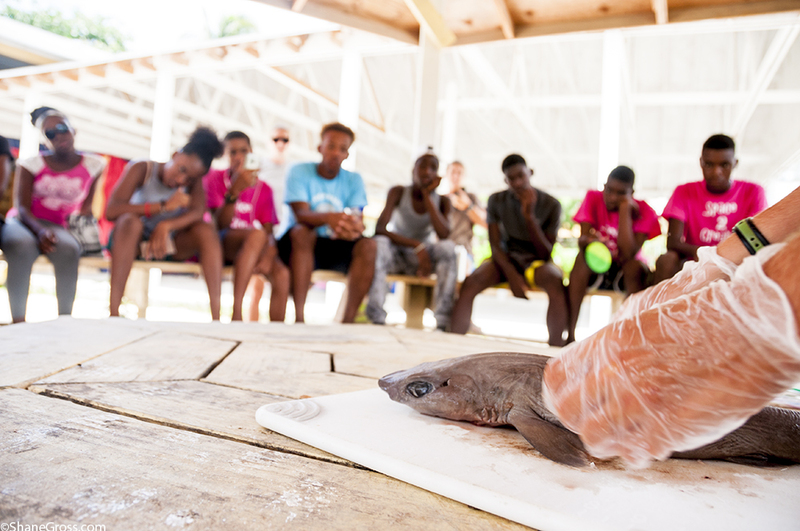 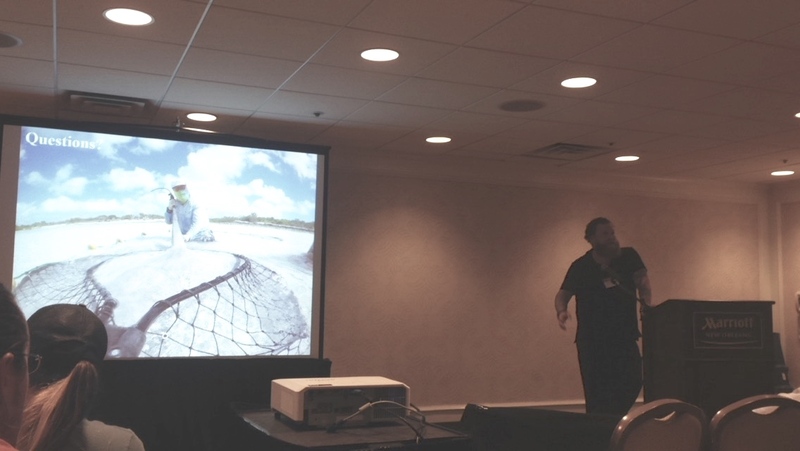 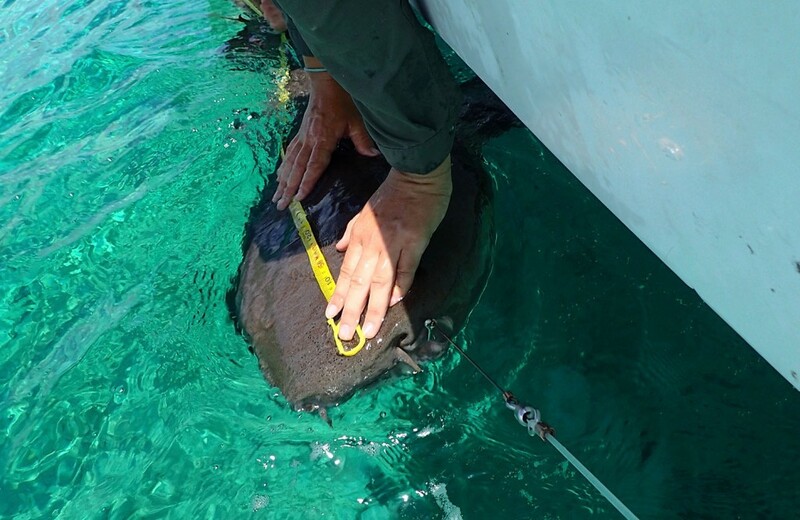 Oliver’s presentation focused on novel methods for post-capture release of a small bodied deep-sea shark – the Cuban dogfish – and how novel approaches may increase survivorship during by-catch events. 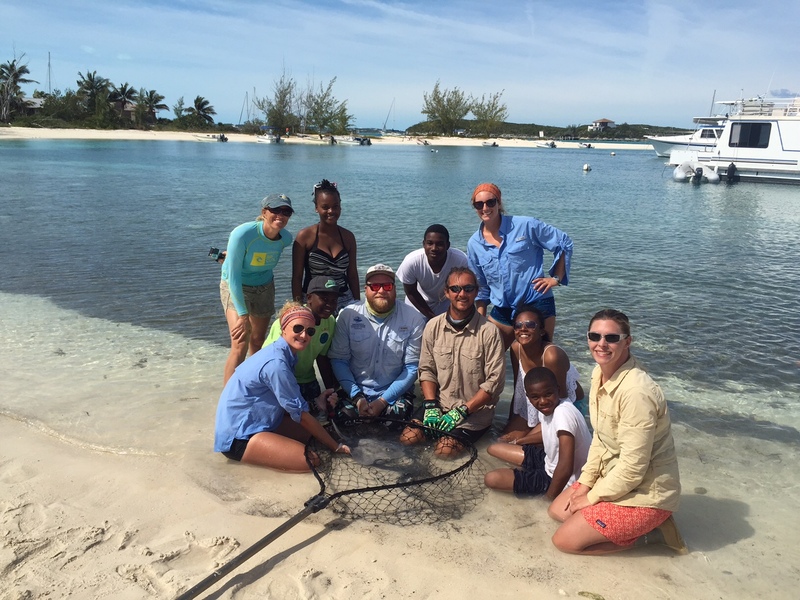 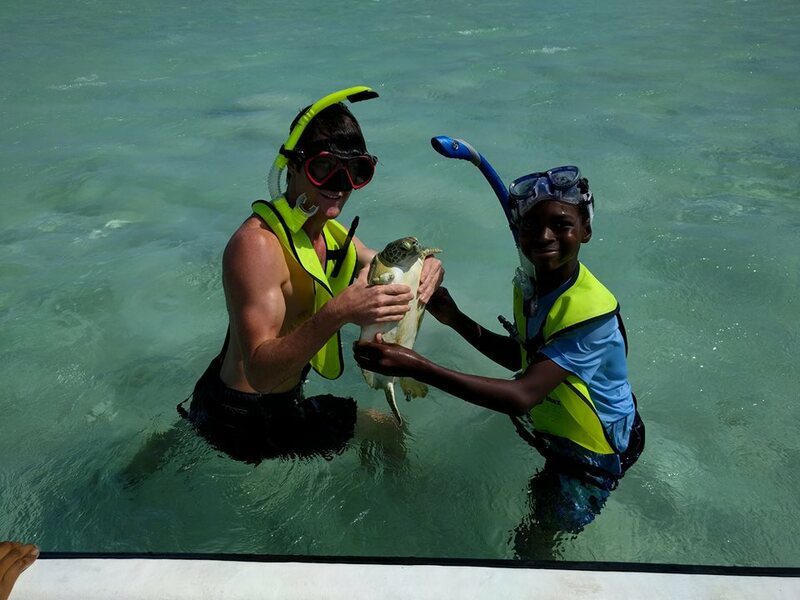 Owen spoke of the recently ‘re-discovered’ Caribbean whiptail stingray and discussed its contemporary distribution in The Bahamas and implications for management. Captain and mate of team Shady Lady weigh in a wahoo. 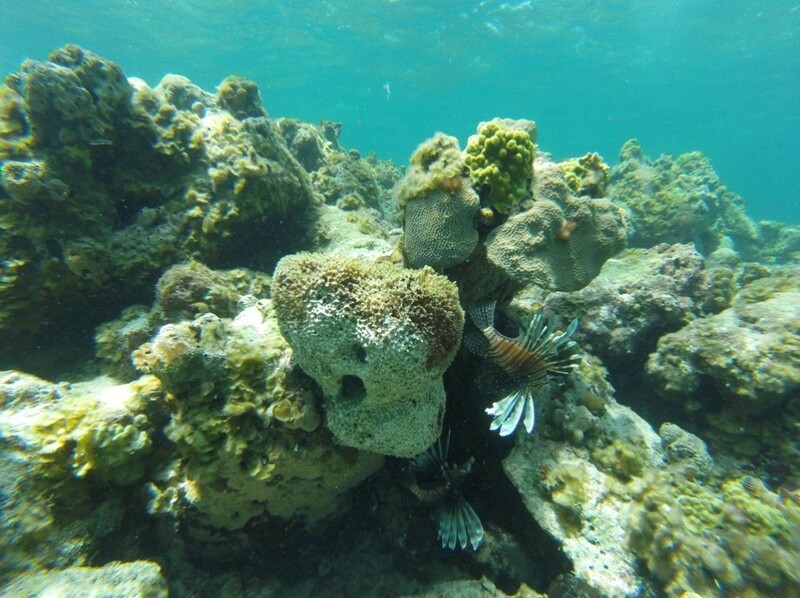 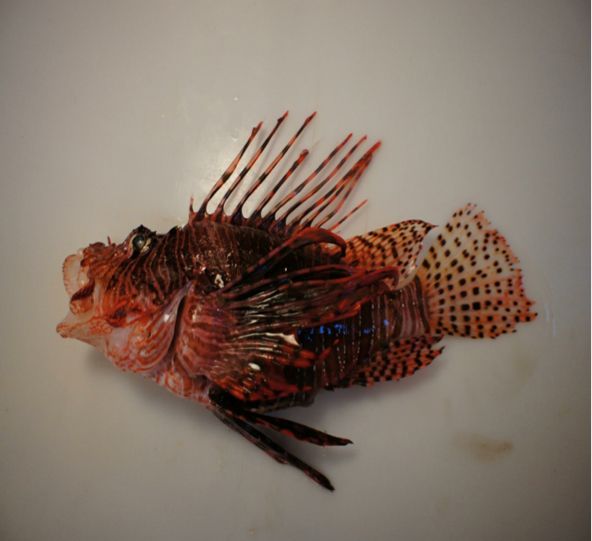 When dissected at CEI’s lab, this fish was found to have a ingested a piece of plastic.